Bosnia has many mysteries and layers that few take the time to unravel. Tourists often spend a short time in either Mostar or Sarajevo but will inevitably miss out on the more amazing experiences. Here are the top things to do in Bosnia that most travellers don’t know about. The Ottomans ruled Bosnia for almost 400 years and are responsible for Sarajevo’s Bascarsija and Mostar’s Kujundziluk. Both have cobblestone streets and stalls selling Bosnian souvenirs, from copperware to magnets and even slippers. Alleys branch out creating a maze of buildings that have remained almost the same since their constructions centuries ago. Walking through the Old Bazaars are a tourist’s favourite thing to do in Bosnia. The cascade of events that triggered WW1 began in Sarajevo, near Latin Bridge. Gavrilo Princip assassinated Franz Ferdinand and his wife. Austro-Hungary then declared war on Serbia, precipitating tensions into full-blown conflict. A plaque on the wall opposite Latin Bridge commemorates the spot Princip shot Franz Ferdinand. When people think of pyramids, the first place that comes to mind is Egypt or, perhaps, even Mexico. But Bosnia? Unlikely. Believe or not, archaeologist Semir Osmanagic claims there are indeed pyramids here, and they’re 30,000 years old and 220 metres tall (722 feet). Put into context, the Pyramid of Giza is approximately 4,500 years old and 147 metres (482 feet) in height. Some say it’s real, others a hoax. If the Bosnian Pyramids are real, this will revolutionise how we view human civilisation. 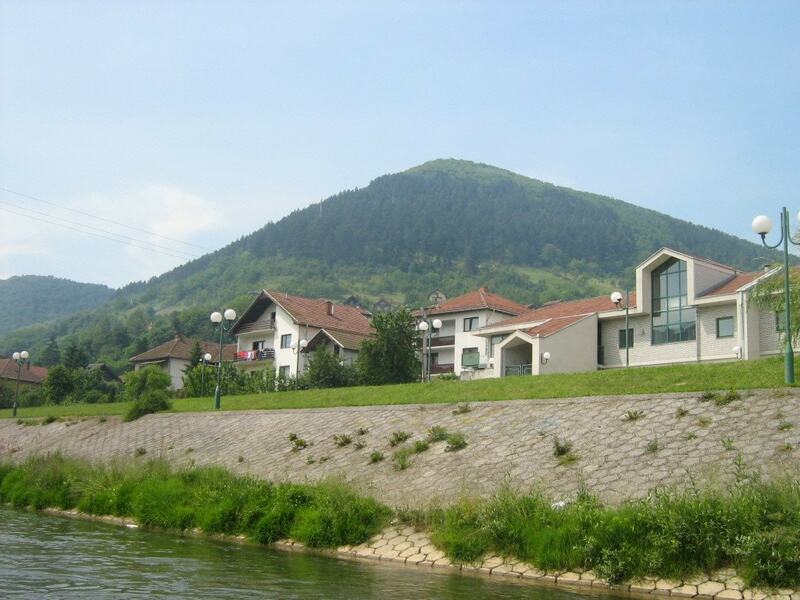 Address: Visoko 71300, Bosnia and Herzegovina. Sarajevo doesn’t have the nickname as “The Jerusalem of Europe” for nothing. No other city in Europe can claim a mosque, Catholic and Orthodox Cathedrals and a Synagogue in the same neighbourhood. But Sarajevo can. During the almost four years Sarajevo was under Siege (5 April 1992 – 23 February 1996), an average of 329 shells hit the city on a daily basis. A resident once said, “We tried to live a normal life in very unnormal circumstances.” Markets and streets were busy. Sometimes shells landed, exploded and killed people. A red dye stains the debris on the floor to mark the spot where a Sarajevian lost their life. A small house is Konjic isn’t quite what it seems upon first inspection. After a Serb guard refused orders to blow up Tito’s bunker in the 1990s, this giant complex became lost until 2003, when someone rediscovered the shelter which can reportedly hold up to 350 personnel for several months. Today, of all things, it’s a contemporary art gallery. Address: Hadžića polje, Konjic 88400. Tel: +387 36 734-811. The Ottomans had a significant role in building and developing Bosnia. You can see their legacy in their Old Bazaars, mosques and a different culture and set of traditions. But, toward the end of the 19th century, new rulers arrived: the Austro-Hungarians. A wave of construction and development followed, with pretty facades and Central European lavishness. As you walk through Sarajevo or Mostar, passing between the eastern Ottoman influence and western Austro-Hungarian regions is like moving between different countries. 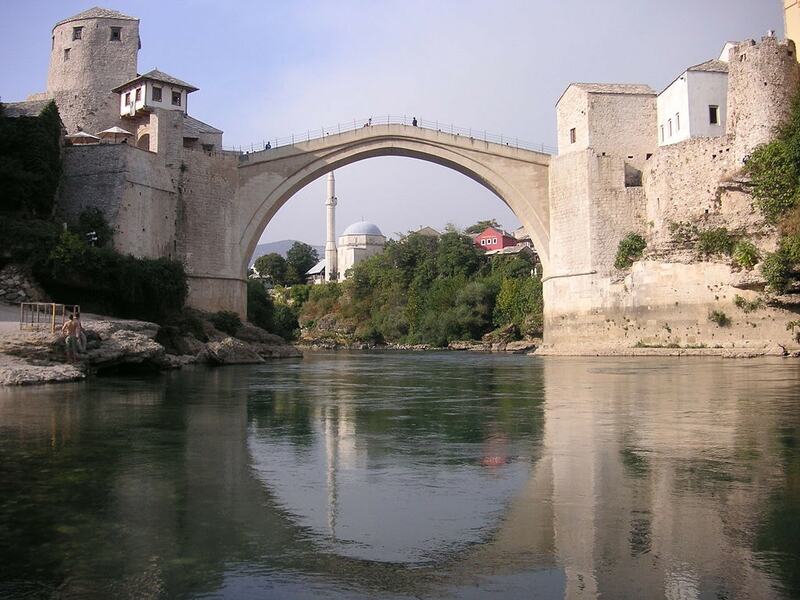 Any visitor to Mostar will see the main attraction: The 16th century Stari Most. Young shirtless men in swimwear from the Mostar Diving Club tease tourists and entice donations to jump from the bridge into the river. And tourists can too if they complete a crash course (€25 per person). You can take the lesson in the morning and dive in the afternoon. 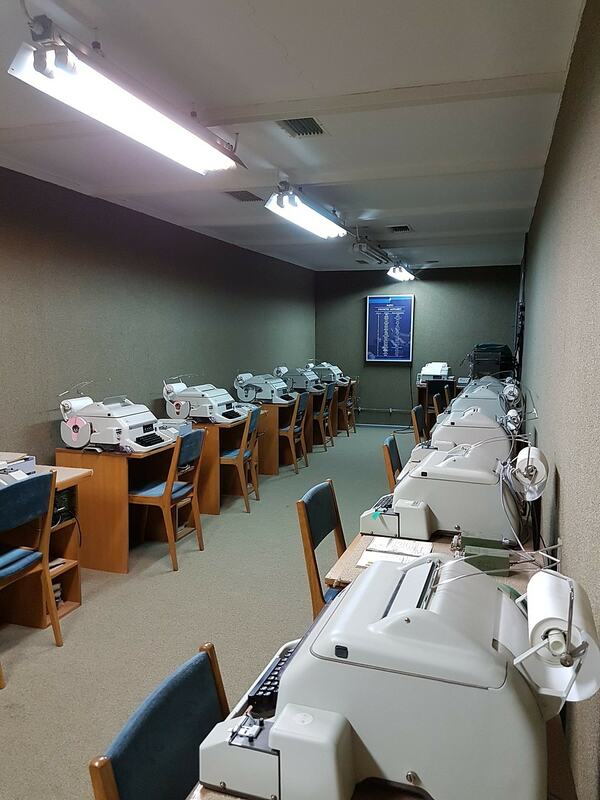 Address: Stari Most, Mostar 88000, Bosnia and Herzegovina. Christmas is a secular event in Bosnia with Catholics, Orthodox Christians and even Muslims enjoying the festivities. The Sarajevo Holiday Market opens in December until January, creating a winter wonderland selling handicraft and a range of other products. Address: 71000, Maršala Tita 10, Sarajevo, Bosnia & Herzegovina. Tel: +387 62 130 024. Wine production in Herzegovina started millennia ago with the Thracians. After the Ottomans converted large parts of the population to Islam, the practice all but dried up for several centuries. Until grape vines grew again in the nutrient-rich soil. Today, a selection of Blatina (red) and Zilavka (white) are available in Bosnia. Forget Switzerland’s Alps or Canada’s Whistler for an epic ski holiday, instead, check out Bosnia. Bosnia has 16 ski resorts, some within 30 minutes of Sarajevo, which sport a combination of blue, red and black slopes. Resorts are affordable, and they’re active from late October until March. Check out Jahorina, Kupres and Vlasic. If you’re active and reasonably fit, what better way to go sightseeing than joining an organised run? There are two half marathons in Bosnia, one in Banja Luka toward the end of May and another in Sarajevo in September. Don’t expect a huge turnout, expect a fun day. Did you know that Bosnia has a tiny stretch of Adriatic coastline? Probably not. The country has just 20 kilometres (12.4 miles) of sea sandwiched between Croatia. Neum, a coastal town, provides views and a beach experience similar to Croatia’s smaller towns, but without the tourists.